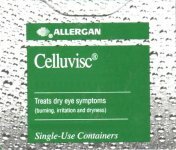 Hypromellose is a mixed ether of cellulose which is used as a tear substitute and lubricant when applied to the eye. Artelac SDU are used for the symptomatic treatment of „dry eye“, which is a dehydration of the surface of the eye because no natural tears are being produced. Dry eye can also be caused if it is not possible to close your eye lids partly or completely. Artelac SDU is a soothing solution which moistens the eye and gives tear-like lubrication to the eyes and eye lids. 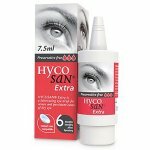 The hypromellose in Artelac SDU Preservative free increases the thickness of the solution which has a moisturising effect and assists the solution in remaining in contact with the eye for a longer period of time. The medicine is to be used only as drops placed into one or both eye(s). Unless your doctor has told you differently, the standard dose is that one drop should be placed in the corner of the eye, nearest the nose, 3 to 5 times each day or as required to provide sufficient lubrication. 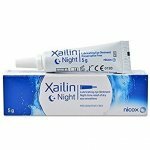 As dry eye is a condition which varies from person to person, the drops should be used as often as you think necessary, to relieve your dry eye(s). This may be more often than the standard dose but this should not cause any unwanted effects. You should wait 5 minutes before using any other eye medication. - Gripping the unit by the label end, remove a single-dose unit from the pack. - Pull your lower eyelid gently down, and then carefully place one drop inside the lower eyelid, in the corner closest to the nose. 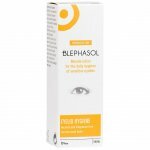 - Release the lower eyelid, and blink a few times to make sure the eye is covered by the liquid. - Repeat the procedure for your other eye. Do not use Artelac SDU if you have been told or know that you have had a reaction to any of its ingredients, check by reading the list of ingredients above. 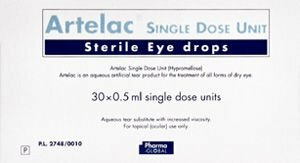 * Artelac eye drops are sterile until first opened, so it is important to keep the drops as clean as possible during use. * Artelac SDU can be used in pregnancy and lactation. * Artelac SDU does not contain a preservative and is suitable for patients who are hypersensitive to preservatives or who wear contact lenses. * Wearers of soft contact lenses should remove their lenses before Artelac SDU Preservative free is administered and should wait for at least 15 minutes before they insert them again. * Always read the label before using the medicine. * If you accidentally use a larger dose than recommended, this may cause some blurring of vision, but this will soon subside. Make sure that you know how and when to use your medicine. If you are not sure about using Artelac Preservative free then please talk to your pharmacist. Usually Artelac does not cause any side effects. Occasionally some people may experience unwanted effects. If you experience any difficulty stop using Artelac Preservative free and talk to your doctor or pharmacist. Keep your eye drops in a safe place where children cannot see or reach them. Keep the eye drops at normal room temperature (do not store above 25oC). Artelac eye drops Preservative free are sterile until first opened. It is important to keep the drops as clean as possible during use. Do not use this medicine after its expiry date. Check the expiry date on the label before you begin to use your medicine. If the expiry date has passed, take the medicine back to your pharmacist. Always keep your medicine in a safe place out of reach and sight of children. Further information is available from your pharmacist. 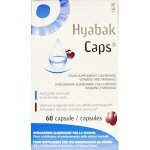 The active ingredient is Hypromellose 0.32% w/v. Artelac SDU Preservative free also contains Sorbitol, Disodium Phosphate Dodecahydrate, Sodium Dihydrogen Phosphate Dihydrate and Purified Water.